Canadian-Designed Products a Perfect Match! Editor’s Note: We all have our favorite pieces of audio gear. You know, the ones that eke out that little bit of extra musical pleasure when you link them together. 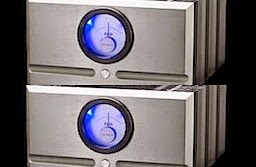 For example, I have used Pass Labs amps and Legacy speakers together for more than ten years. I just like the way the two products sound as part of my system. Most serious audiophiles I know also have their product-pairing preferences. I know a professional mastering engineer who is steadfast in his belief that his McIntosh amp and Revel Studio speakers are a match made in sonic heaven. 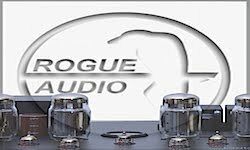 This first installment of EAN’s Dynamic Duo profiles two products from Canadian audio manufacturers Anthem and Paradigm. Anthem manufactures audio electronics for music and home theater playback. Paradigm produces high-quality, yet affordable, hi-fi and home theater speakers. Since Paradigm is a sister company**to Anthem, I figured that picking one product from each company would likely result in good audio symmetry. 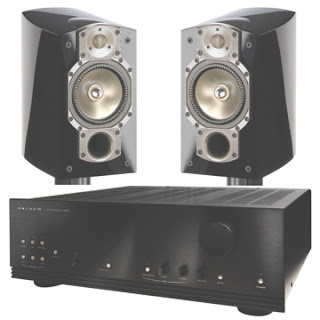 I chose the Anthem Integrated 225 integrated amplifier/preamplifier and a pair of Paradigm Signature S2 speakers, based on a scenario where a potential audio buyer wants top-notch sound and features, but has limited space. An integrated amp saves shelf space versus separate preamp and amp, and compact speakers allow easier placement in dimensionally challenged rooms. 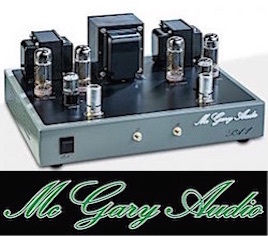 The I225, retailing at $1,499, is a nicely featured, integrated amplifier with plenty of power at 225 watts per channel into 8 ohms and 310 into 4 ohms. It sports a phono preamp, fully balanced inputs, five sets of unbalanced RCA line inputs, preamp output, recorder loop, and RS-232 control. Its attractive silver front panel is nicely laid out with easy-to-operate selector buttons and balance, volume and tone knobs. The big right-side mounted volume control makes it easy to crank it up. The unit also sports a good-sounding headphone amp, and it comes with an IR remote control, as well as a port for an IR extender on the back panel. The IR can be programmed to control most audio components. I like the front panel mini-jack input — with its co-located input selector switch — so you can run the analog output of an iPod, handheld players/recorders, etc. To address the “vinyl will never die” stalwarts, the phono preamp can handle most cartridges, MM or high-output MC, and boasts pretty good specs for an on-board phono pre. The Anthem internal amplifier section is no switch-mode, lightweight powder puff. This bad boy is a traditional bipolar output, class A/B amplifier with a nice complement of components and a big horse of a power supply. 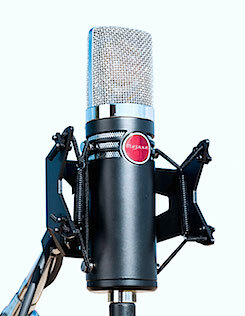 The I225‘s sturdy build, plus the beefy amp section, contributes to its hefty 43 pound weight. The Paradigm S2, priced at $1,499-$1,599 (depending on the finish), is a small bookshelf monitor with the same state-of-the-art drivers found in the line’s bigger siblings. This two-way was designed to give accurate playback in a smaller configuration to fit smaller listening rooms. The S2s can be used for stereo listening or as part of a surround system. The speaker components include the Pure Beryllium P-BE 1-inch dome tweeter, which has received quite a few accolades from the audiophile press. This tweeter is said to provide all the plus qualities of metal domes without the harshness some metal drivers seem to impart. The mid/woofer is Paradigm’s 7-inch Co-Pal cobalt-infused aluminum driver with 1.5-inch voice coil. Both drivers are mounted in Paradigm’s patented IMS/Shock Mount. The S2‘s lower-than-typical 1.8 kHz crossover frequency is my kind of two-way design. With the crossover set at under 2 kHz, the Paradigm woofer is relieved of some of the higher-frequency handling duties that higher-crossover speakers (3 kHz for example) must handle. To my ears, the lower crossover frequency enables a speaker to relay a more natural sonic character at the critical frequencies where the drivers transition from one to another. The Paradigm S2s are amazingly accurate on the top-end. The beryllium tweeter presents an extended and fast response, yet it is as smooth as a soft dome. Treble detail on 24-bit and DSD recordings was spot on with reverb decay, cymbal brush strokes and upper-register piano note all sounding very natural and dynamic. Factory rated, on-axis frequency response is 52 Hz to 45 kHz, plus or minus 2 dB. The front-ported, reflex cabinet design helps reinforce low-bass response, which is key to a small speaker delivering good bass. 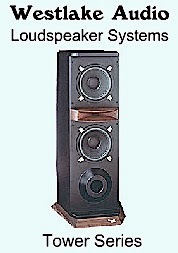 Speaker impedance is 8 ohms; power handling is 140 watts continuous. Overall speaker measurements are: 15-inches tall x 8-1/4-inches wide x 14-inches deep. Weight is 28 pounds each. The speakers come in black, cherry and natural finishes. Matching stands are available from Paradigm. I connected my Esoteric DV-50 universal player and a Rotel RP-955 turntable to the I225. The player/I225 connection was made via Alpha-Core solid-silver interconnects. The S2s were linked to the amps using Alpha-Core solid-silver speaker cables. All components, except for the turntable, were connected to the AC line with Essential Sound Products’ MusicCord-PRO cables. I placed the speakers on my Apollo speaker stands, about seven feet apart and slightly toed-in. I left the grills on. As soon as I fired up the system, I could tell I had made a good choice in my pairing; the tandem’s sound quality was immediately apparent. Solid, tight bass, nice stereo image and abundant treble detail — without being edgy. I played at least a dozen high resolution SACD and DVD-A PCM discs through the Esoteric, including some of my own 24/96 home brew acoustic guitar recordings. 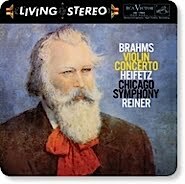 The sound was delivered with accuracy and a wide detailed stereo image. Much of the detail that I usually hear through my much-more expensive Pass LabsX350.5/Coda preamp setup was relayed through the Anthem/Paradigm system, though the upper end transients were a bit more forward sounding (the difference between FETs and bipolar output designs perhaps). It was a pleasure to operate the I225 with all its traditional features, such as analog switches and rotary controls; no digital controls on this baby! I also was impressed by the headphone amp’s audio delivery. It powered all my various phones, including the hard-to-drive AKG 701s — providing a detailed with a wide, but not exaggerated stereo image. Bass was very tight. By the way, the balanced input jacks make this a good choice for professionals and home studio recordists who want a budget, full-featured combo amp/preamp for their passive speaker monitor setup. You can feed it a stereo signal from a mixer, professional recorder output or any other component that contains a set of XLR outputs. For my Rotel RP-955/AT150ML phono cartridge set up, the phono preamp delivered a very analog vinyl quality with tight bass, good imaging, and upper end detail. The AT150ML is a little on the tight side without over-enhancing the bass or midrange, and that is how the Anthem delivered the record audio. The audiophile reissue LP of West Montgomery’s “Full House,” in particular, sounded clear and articulate through the system. The Paradigm S2s are amazingly accurate on the top-end. The beryllium tweeter presents an extended and fast response, yet it is as smooth as a soft dome. Treble detail on 24-bit and DSD recordings was spot on with reverb decay, cymbal brush strokes and upper-register piano note all sounding very natural and dynamic. I am impressed. Can’t wait to listen to the bigger version of this speaker series. Bass response was very good for a small speaker with useable extension to 55 Hz in my room (measured with a RTA and test mic). The ported speaker did exhibit some mid bass boost when placing the speakers close to side walls or the back wall (1 foot or so), but extending the boundary distance tamed the effect — as does plugging the ports with my rubber, home made port plugs. The latter tightens up the bass at the expense of losing some low-frequency extension.